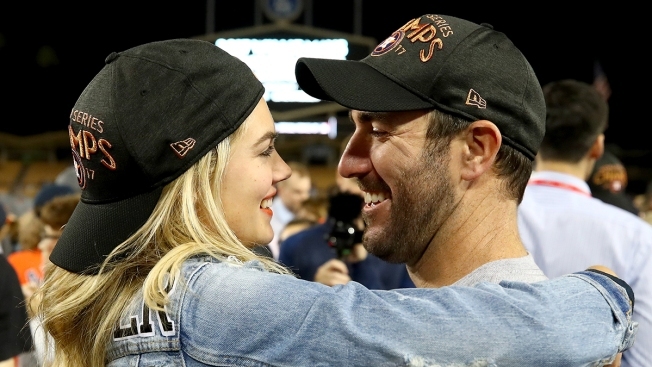 Justin Verlander wed Kate Upton on Saturday. Make that two rings for Justin Verlander. The Houston Astros ace, fresh off a 2017 World Series victory, wed model Kate Upton on Saturday in Italy. Upton wore in a white dress with lace sleeves and had her hair in a side part with loose waves and a veil pinned in the back, an eyewitness told E! News, Verlander wore a dark tux with a bow tie and bridesmaids wore different blush colored gowns. The wedding took place at the Rosewood Castiglion Del Bosco resort. The ceremony was conducted at an old medieval church at the top of a hill amidst ancient ruins and overlooking the Montalcino valley and vineyards, the eyewitness said. Hurricane candles lined the staircase up to the top and each guest took a name card with their name written in black calligraphy. Arrangements of deep red and blush flowers and olive branches mixed in adorned the area. At the end of the 30 minute ceremony, everyone walked back down the stairs and to a reception at the restaurant on the property. Before getting engaged, Upton and Verlander had dated for over three years. 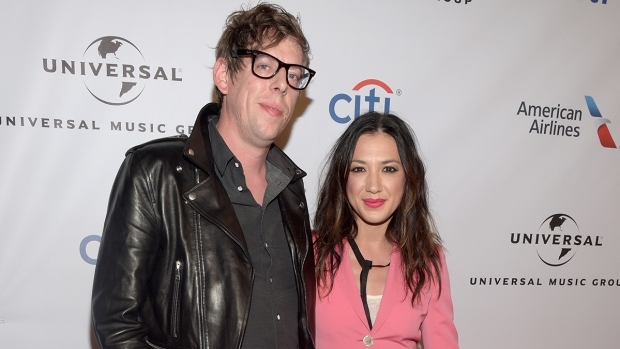 At the end of 2016, it was revealed that the couple had purchased a house together for $5.25 million. The Beverly Hills home is about 5,500-square feet and has five bedrooms, six bathrooms, a pool and a tennis court.